Kill Me Softly is about Mirabelle, a girl days away from her sixteenth birthday. She runs away to the town where her parents died, only to discover a town stuck in a fairytale. Mira discovers her own fairytale destiny, but she may be too late to save herself. I liked Kill Me Softly because the storyline was really creative, incorporating classic fairy tales but spinning them in a new way. The book was funny too, and I found myself laughing a lot. I would recommend Kill Me Softly to fans of the TV series “Once Upon a Time”. Readers who enjoy stories branching from the original Grimm Brother's stories would love this book. Tiger Lily is a retelling of the Peter Pan story, but this time focusing on the native girl Tiger Lily. The novel describes her strength and her uniqueness, a uniqueness that often keeps her distanced from her tribe, and longing for adventure. Soon she finds herself involved with the tribes most feared enemies Peter Pan and his lost boys. Tiger Lily immediately falls for their fearless leader Peter and is faced with the decision to run away with him to live a life of adventure, or to remain with her tribe and follow what is expected of her as the shaman's daughter. I loved this book, in every single way, the story was absolutely captivating, and the characters where absolutely endearing and lovable. The story line was absolutely brilliant because it provided a fresh new version of a story that most of us are familiar with. Overall the novel was just amazing and i found myself at the edge of my seat waiting to know what would happened to Peter's and Tiger Lily's love. Yes, I would very much recommend this book to everyone, the story is not to love-dovey and filled with adventure so both girls and boys would enjoy reading this book. I would probably recommend it to someone whose read or watched the original Peter Pan because this novel provides a whole new different side of him that is not explored in those other previous works. In New Beijing, cyborgs and humans live together, not peacefully, but still together. Cinder, a cyborg, is one of New Beijing's finest mechanics. However when her life becomes intertwined with Prince Kai, her world turns upside-down. She must let Prince Kai think of her as a human or she will be punished. She is also the only person immune to the deadly disease that is spreading fast. Soon, New Beijing will count on her to save them from all dying out. 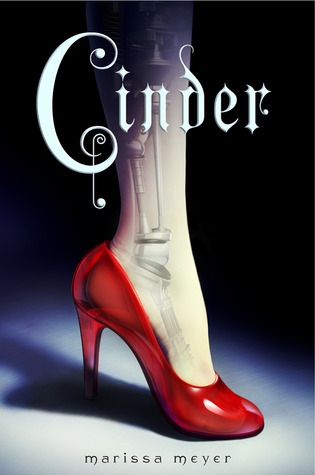 Cinder is similar to Cinderella, but with a new age twist. I like the similarity between both stories, but I also like the huge difference in them. I would recommend Cinder to anyone who needs a refreshing new story of one of the oldest tales in history.